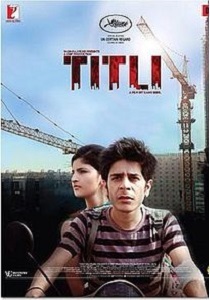 Review Summary: A dark hard hitting drama, Titli is one of the best films of 2015. Not to be missed! The same is true of the film as a whole. Titli is an unflinching, insightful chronicle of our times. Do not miss it. Hope, ambition, dreams, morality - all crushed and blended under one roof, where four men live. Brace yourself, you will be rewarded. Kanu Behl's Titli works because it is not just a poignant character study of an angry young man, but also an incisive and intense family drama. Titli must feature on your must-watch list of movies simply because it will be a long time before you are treated to such superb performances and effective storytelling at the movies again. Cheer as you squirm in your seat. Titli seems to be made with the single-minded objective of leaving audiences with an unsettling feeling-A constant discomfort that can't be shrugged off, like a nasty itch at an unreachable part of your back. If this is what you seek from cinema, book your tickets now.